Discussion in 'Effects, Pedals, Strings & Things' started by abstractionisms, May 1, 2016.
do I solder [tip <--> ground, sleeve <--> center conductor] on one end and then [tip <--> center conductor, sleeve <--> ground] on the other end? How do I know which end should go into the pedal and which should go into the power supply? OR, is it simply the opposite of center negative polarity as such [tip <--> ground, sleeve <--> center conductor] on BOTH ends? Second question is in regards to making a dual 9v (or 12v) to single 18v (or 24v) power cable for certain electro harmonix pedals. Do I just make two seperate 9v dc cables on one end and then join them with solder to the final 18v/24v end in unison? Is there something I'm missing one this one? I just want to make sure that I don't blow up any of my pedals as I've never soldered power cables before. I really suggest you BUY these cables - they are too cheap to be making unreliable homebrews. But to answer your question, it does not matter which end is which just be sure that (unlike guitar cables) the outer jacket cannot make contact with the enclosures - or else you will be putting +9v DC through every pedal body you connect (which can give you a surprising little shock). Woops, sorry. I probably should have clarified that I already own A Voodoo Labs Pedal Power 2 and am just looking to make my own cables to clean up my board a little bit, so I'm not actually planning on building the power supply, just the cables. The plugs I got were just the ones straight from VoodooLabs' site and the cable is some thinner mogami unbalanced mic cable from redco. Thanks for your response!!! Normally, you wire sleeve to sleeve and center to center, to make the plug at the pedal end the same polarity as the output jack in the power supply. With most zip cord type cables, one of the wires will have a marking to help you see which is which. 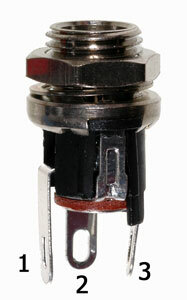 On a reverse polarity cable, you simply reverse the connections in one of the plugs. It doesn't matter which way you then turn the cable - it will still be reverse - but I do suggest using a different colour (or otherwise clearly marked) plug at the pedal end. That way, you can help avoid accidentally hooking up the wrong plug to the wrong pedal. Abram4235 and abstractionisms like this. Hmmm, sounds simple enough. Fortunately the only reverse polarity pedals I have are 3.5mm type plugs (and one EHX poly chorus), so I won't be confusing them. Do you happen to have any experience making voltage doubler cables such as the ones needed to power electro harmonix types from the voodoo labs pedal power? I just need one of these and if I can get rid of my bulky EHX power supply hogging the courtesy outlet of the pedal power that would be ideal. It's the dual 12v to single 24v reverse polarity type for my poly chorus. Thanks for your help!!! Ok - with a different type plug, that will of course be marking enough to help identify it. 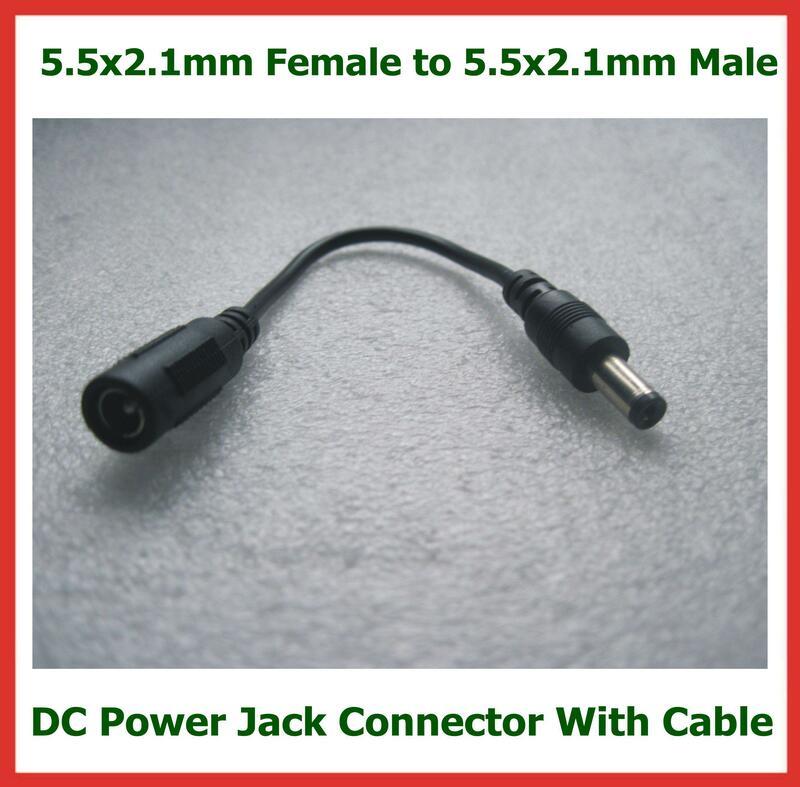 Technically speaking, a 3.5mm plug is not referred to as reverse polarity - it is a different type of plug than the normal 2.1mm barrel type. But it is wired in much the same way as you would a reverse polarity 2.1mm plug - from sleeve in the barrel plug to tip in the 3.5mm, and from center in the barrel plug to sleeve in the 3.5mm. Hmmm, interesting about the 3.5mm. I will take note of that. As far as the doubler, I think I'll take your advice and order one from Voodoo, or possibly get the local guitar shop to make me one with the custom length for my board. Maybe in the future I can work on making my own. Thanks for your help!!!!!!!! All I was trying to show you is that (1) you have to be careful not to let the outer casing make contact with the enclosure (that was why I showed the jacks - so you could see that) but the same is true of the cables. It is just easier to see with the jacks. BUt once again, I would buy these cables. They go through a fair amount of abuse and the thin wire will not hold up to typical soldering methods. Thank you for your comments, I hope to further understand you as not to harm any of my equipment or myself. I suppose he means the barrel bit on the plug - with a regular center negative plug, the positive is carried on the outside of the plug. That means you'll get a short of you let it touch anything that is grounded (such as pedal casings, patch cable plugs etc). Also - although it is less relevant to you, since you're only making cables - the jack in the pedal needs to be isolated from the case, again to stop the positive voltage shorting to ground. Okay, I think I understand now. I don't think I should have much trouble with this as all of my pedals are boss style with the plastic housing on the female plug side... with the exception of the 3.5mm style pedals I have (a proco rat distortion and a whirlwind A/B selector switch). 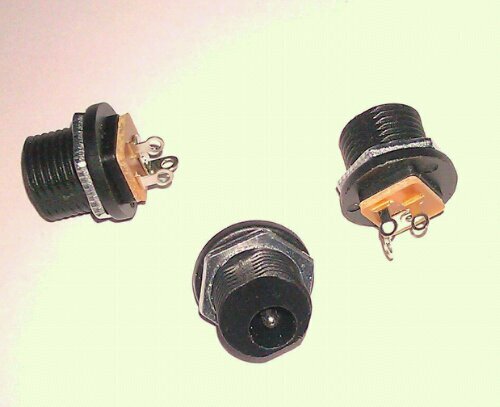 Still, good information to know if I ever feel the need to try to make my own power supply or pedals; always use female plugs with plastic enclosures as the positive current is on the outside sleeve of pedal DC plugs. Thanks for that one.